Posted on October 19, 2013 by J. Initially, speaking about your character in the first person may feel awkward and stupid. I understand. I regularly feel that way, and I’ve been doing this a long time! I am completely aware that I am not really my character, that she is in fact a fiction, and so I resist identifying with her. But quite honestly, whenever possible, I resist talking about my character at all – in either the third OR first person! My directors invariably will ask me questions during rehearsals that require that I do so, and I do oblige them, but it always requires my overcoming a certain fierce reluctance. Interestingly, I did discover in the last play I was in that I speak of my character in the third person when I am operating in left brain (conscious) mode, and in the first person when I operate in right brain (subconscious) mode. But I also know how to translate conclusions derived from third person analysis to first person performance, and I can switch from conscious to subconscious acting in about a second and a half. Speaking in the first person is also critical if you aren’t fond of your character initially. 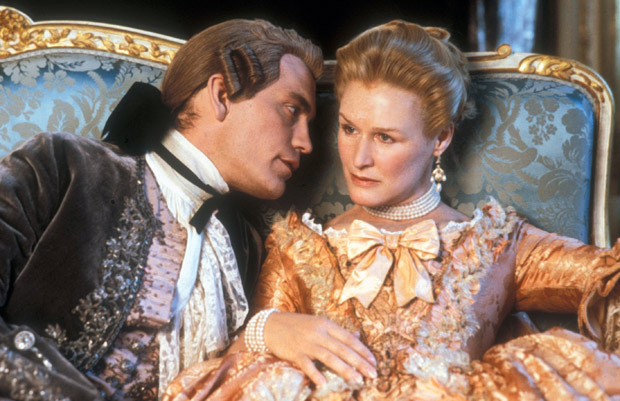 Perhaps the character you are playing does some despicable things (think of La Marquise de Merteuil in Les Liaisons Dangereuses.) Or she just isn’t your cup of tea. She’s stupid, or vapid, or mean, or makes choices of which you personally disapprove. I know an actress who has a real problem with playing a cheating spouse because of her strong personal commitment to marital fidelity. It is easy to maintain your disapproval of a character you discuss in the third person. It’s much harder to do so when you align yourself with the character by speaking in terms of “I”. It doesn’t make the conflict between you and your character go away, but it forces you to deal with it, and deal with it early in the rehearsal process. You may never like or approve of your character, but you do have to understand her to do her justice. And the odds are that if you really understand her, you’ll also find that you like her – no matter how despicable her behavior may be. Lastly, don’t wait until you’re in the middle of rehearsals, after you’ve done the blocking and gotten used to the rhythm of the play, to start identifying with your character by referring to her in the first person. Jump in the deep end in the first week, and you’ll find it you make faster progress getting to know your character if you do!